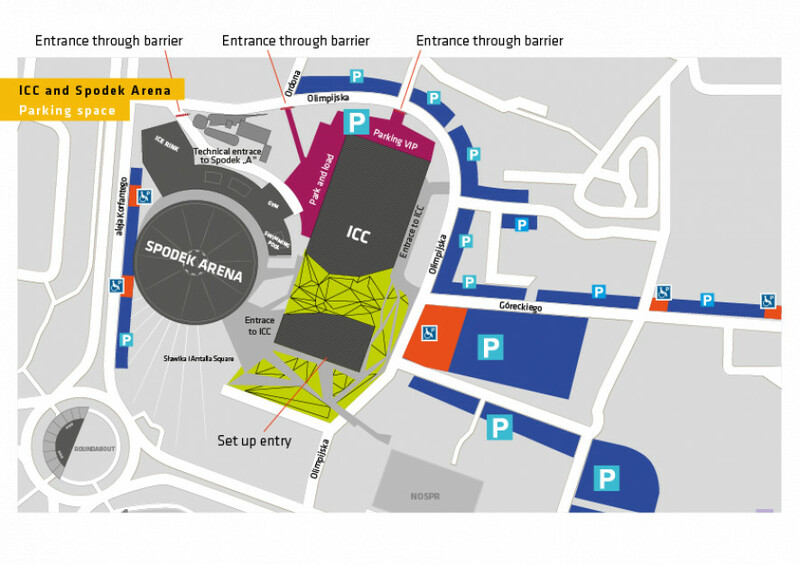 Below you will find a map of parking spaces in the Cultural Zone, with a parking area for the disabled. In case of difficulties in reaching the Spodek Sports and Entertainment Arena, please contact security directly (at +48 32 438 40 30), who will be of help, if needed. The operator of the Spodek Sports and Entertainment Arena has no influence over people who occupy the areas for the disabled although they are not permitted to do so. The plan below presents the location of the lift for the disabled, making it possible to reach the Spodek Arena’s mezzanine level from the ground level. Entrance from Gate No. 7 has been marked, too. Its availability depends on the event organiser. The area for the disabled is located near the red and green E and M sectors. 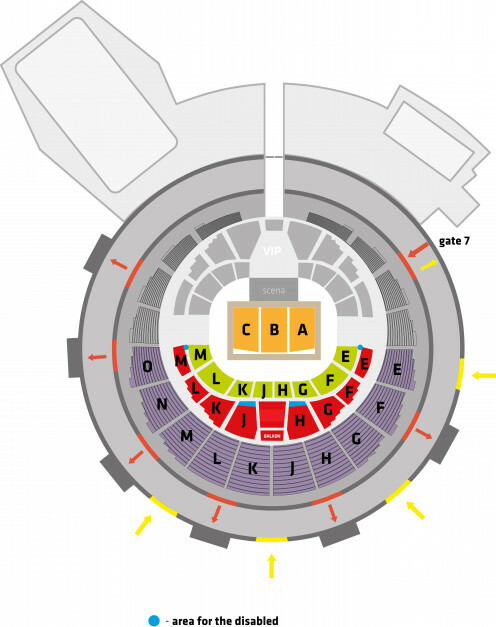 The first rows in the red H and J sectors are also provided for people in wheelchairs. Each time, the availability of these places for the disabled depends on the event organiser.